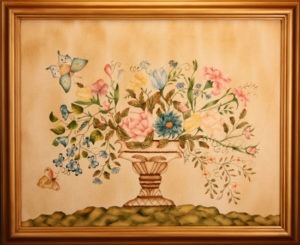 Theorem painting (meaning painting with the aid of stencils) is considered traditional folk art. It was popular in the 1800s. Theorem painting is most often done on white velvet fabric (Paintings on Fabric), which gives the painting a soft, lovely depth. Oil paint is presently used as it simulates the look of the antique theorems whose paint was hand mixed. Fruit and floral arrangements are the most popular subjects, but scenes were sometimes done. 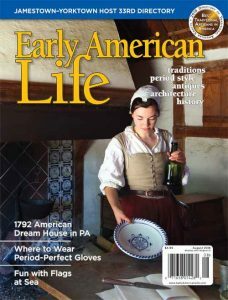 I have been selected for the 23rd year to the Early American Life Directory of American Craftsmen. The theorem that is shown to the right is one selected by Early American Life.